The ID5 is the application-oriented scale terminal to use with High Precision platforms. Using the unique "Pac" concept, you can customize the ID5 for your specific application. MultiRange Platforms deliver the highest reproducibility at capacities from six lb to six tons... and equivalent metric ranges too. Choose from bench, stand, floor or pit scales in stainless, carbon or hot galvanized construction. They're all dust and water tight to NEMA 4 (IP65) standards. Pit frames, ramps and other accessories are available. The Fairbanks/Sartorius isi Series Indicators offer the ultimate in high resolution weighing, while delivering fast, reliable results. 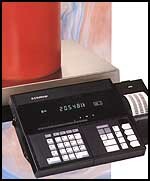 Each of the three models in this series can be easily connected to all of the IS Series High Resolution Platforms. or you can connect them to any of Fairbanks' weighing platforms, including the Eclipse Series Bench Scales and the Aegis Series Floor Scales. It's up to you! 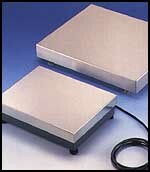 The Fairbanks/Sartorius SQ Series are heavy-duty, high resolution bench scales ideal for a variety of weighing applications, even in hazardous industrial environments. These rugged performers provide the perfect solution for all your weighing needs. With their advances technological features, the Basic Plus Series Balances ensure accuracy and dependability in a laboratory environment. 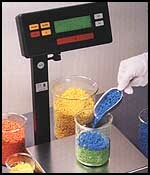 Whether you choose and analytical or toploading model, there's a balance to meet your exact weighing requirements.